The complexity of producing Olympic Winter Games coverage requires test and monitoring solutions with the highest level of performance and reliability to ensure high-quality content is being delivered to viewers. To handle this task, NBC Olympics has selected Tektronix's complete suite of UHD/4K Waveform Monitors supporting UHD/HDR formats and ITU-R BT.2020 wide color gamut (WCG), Master Sync and Master Clock Reference Generators, and more to support its coverage of the PyeongChang XXIII Winter Games. The equipment will be used to monitor and test the quality of video and audio content used in NBC Olympics' production, post production, transmission, and distribution workflows in NBC facilities supporting a record level of linear and OTT content. 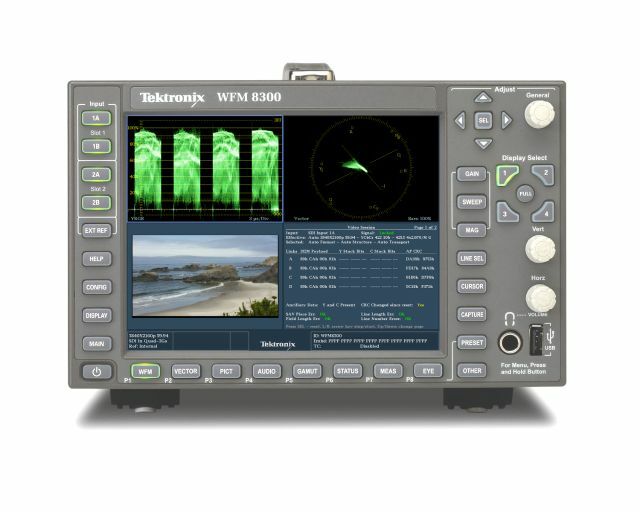 "We are pleased to once again have Tektronix as our partner for NBC's coverage of the Olympics. During our decade-long relationship with Tektronix, the focus has traditionally been on sync generation and waveform monitoring. While this is still very important, Tektronix transport stream monitoring has also become a significant part of our production as well." - Terry Adams, Vice President, IBC Engineering, NBC Olympics. "By using proven video monitoring and measurement solutions from Tektronix, NBC Olympics is well-positioned to deliver the highest quality of experience possible to its viewers." - - Charlie Dunn, General Manager, Video Product Line, Tektronix. See the award-winning solutions & technologies used throughout the Olympic Games below. For more information on NBC Olympics' coverage of the 2018 PyeongChang Games, please visit: http://nbcsportsgrouppressbox.com/shows/2018-pyeongchang-olympics/. As valuable in camera setup, as it is for color grading and correction, and overall quality control of content generated in HD or 4K/UHD with HDR, the WFM 8000 Series is the go-to tool for mobile and studio production, post production, and facility operations. Available in 3RU half-rack with built-in display or 1RU rasterizer with external display, it optimizes quality, and ensures signal integrity and regulatory compliance. 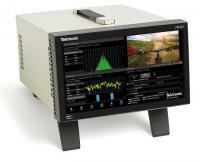 Sentry® ABR is part of Tektronix’ end-to-end video quality and service assurance solution for monitoring OTT (Over The Top), TV Everywhere and multiscreen services that provides a comprehensive and scalable monitoring solution for post-fragmented adaptive bit rate (ABR) streams and supports both 1 GbE and 10 GbE interfaces. PRISM is our real time IP/SDI monitoring and analysis platform designed specifically to generate objective, trusted information for production of content to satisfy growing expectations in quality and consistency. Optimize Hybrid IP/SDI Facility Operations and Maintenance. Simplify Mobile Truck & Studio Production in 4K/WCG/HDR. Monitor popular IP Formats: ST2022-6 /-7; ST2110; ST2059-2. PRISM is versatile with a software-based architecture for easy in-the-field upgrades to meet growth requirements or monitor new standards.